This quick and simple meal idea is deceptively delicious. You can find this as a brunch item in most New Zealand cafes, and it was a favoured meal of mine when I lived there (as was the equally delicious Mince on toast). 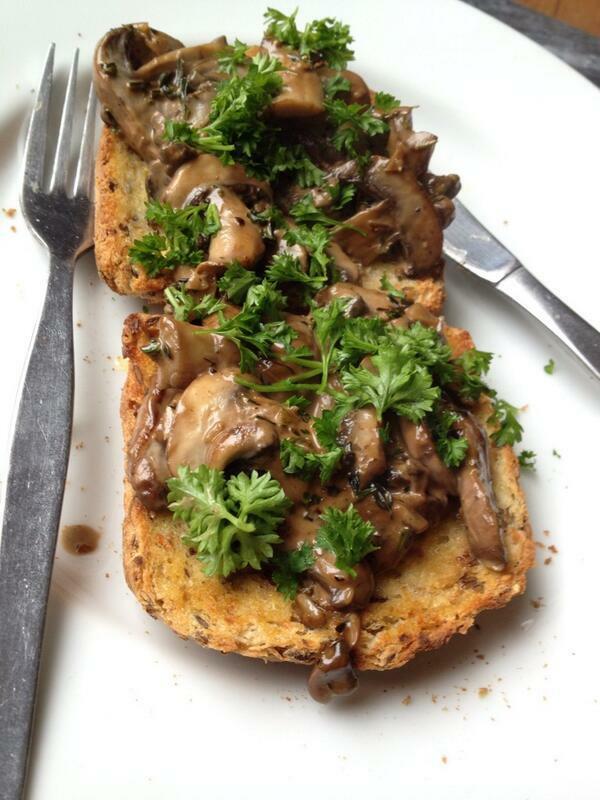 This ‘mushies on toast’ recipe is courtesy of Kiwi food blogger Delaney Mes. Make sure you don’t over reduce this, as the bread mops up the moreish mushroom sauce a treat. 1. Melt some butter on a medium heat. Fry mushrooms with garlic, thyme, and rosemary. 3. After a few minutes, add a tbsp cream, reduce a little, then a splash of balsamic. 4. When the sauce has thickened up, serve on slices of toasted & buttered granary bread, topped with chopped parsley. Next Next post: Is Father’s Day for all dads, or just the ones with jobs?